This week at CVS, there is an extrabucks promotion on Colgate multipacks. 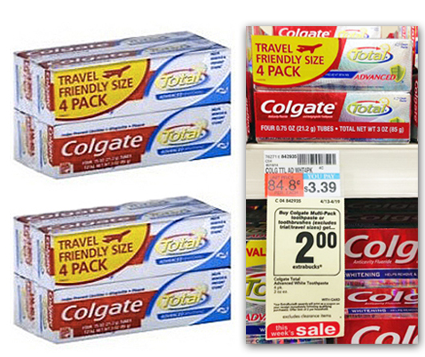 Score cheap toothpaste after extrabucks! Keep in mind that this likely will not be tagged in your store, as always, price check at the CVS Magic Coupon Machine to make sure this deal is at your CVS store too! Total $3.39 plus receive $2.00 ECB's making them only $1.39 or 35¢ each after ECB!